We have reviewed, rated and compared Ruud air conditioners so you can buy with confidence. These AC’s are not for suitable for everyone so check to see if they fit your needs! Investing in a central air conditioner is like buying a new car. There are many things you need to keep in mind, including the initial cost, efficiency of unit, repair and maintenance, and so on. After all, if you’re parting with a thousand dollars (at least), you expect great quality and a premium level of comfort. The general demand for air conditioners has grown considerably due to decreasing prices, and increasing temperatures. This has led to an increase in the demand for energy needed to run these air conditioning units. Governments have also started allowing tax rebates on the purchase of high-efficiency equipment, such as air conditioners with a 16 SEER, and above. Featuring an average 16.8 SEER in their air conditioning units, Ruud is one brand that offers good SEER air conditioners. Ruud air conditioners are comparatively lower in terms of SEER ratings; but it takes the cake when it comes to price and parts. Additionally, the fact that generic parts can fit into the unit, add much more versatility and further lower the cost of maintenance and repair. Here, we are going to take a look at the good and bad aspects of Ruud ACs and try to help you determine if it is the best fit for you or not. While Ruud’s air conditioners are extremely cost effective to purchase, and efficient when operational, they aren’t the best choice for everyone. Along with the fact that the manufacturer doesn’t offer as long a warranty period as other HVAC manufacturers, the low durability and reliability of the unit’s evaporator coil can prove to be a major problem, especially when all the refrigerant gas leaks out in the middle of summer! That said, the air conditioner tends to malfunction only when under stress from external temperatures, and extensive and continuous functioning. In relatively cooler environments, Ruud AC units can be the best cooling companion you could ever ask for, while their units’ great EER rating allow them a competitive edge when it comes to heating requirements. Ruud is well known for its relatively lower unit purchase, and installation costs. However, this low cost reflects on the units’ manufacturing process, especially when it comes to durability and reliability. Ruud clocks in at ‘average’ in terms of running costs – it’s premium unit, the UA20 holds a 20.5 SEER, which is the highest for their units. The lowest SEER offered in a Ruud AC is found in the RA13, with a 15.5 SEER. When comparing it to competitors, Ruud AC falls way behind the top contenders, including Lennox, Amana, Goodman, and others which offer much higher SEERs. However, they cost a lot more as well. Below is a table that compares the purchase, installation, and average running costs for Ruud’s AC models in the 2.5-ton AC category. Ruud has two distinct series among its units, the Ultra and Achiever Series. The Ultra Series contains only one unit, the Ruud UA20, which is its most premium unit, while the rest of its units are a part of the Achiever series. As can be seen from the table above, Ruud’s units are inexpensive, in terms of buying and installing. This, along with the fact that the compressors are extremely reliable and the unit’s entire chassis has a powder finish, makes it resistant to less than optimum weather conditions, be it snow or rain. However, customers have often complained that as the load increases during hot temperatures, the units tend to experience leakage of Freon, the refrigerant gas from the coils. Customers have also complained about having to go out of pocket when it comes to repair and maintenance, despite being under warranty, due to poor quality installers. 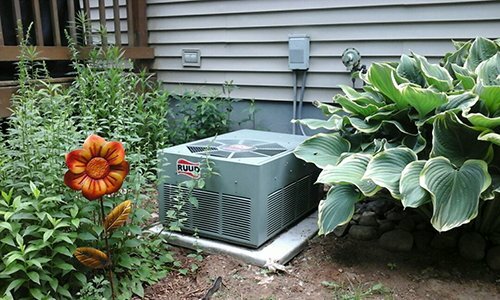 As mentioned above, Ruud air conditioners are prone to leaking gas during hot seasons. Poor installation techniques and equally pitiable post-installation services from contractors result in customers badmouthing Ruud’s warranty and in turn, drive away prospective customers. This is perhaps the major reason why Ruud hasn’t gained popularity. A good HVAC contractor not only installs your unit in the right fashion but also provides excellent post-sale service. To hire contractors that are both trustworthy and skilled at what they do, you should consider hiring one through modernize.com. Their vast database of trusted contractors, that have been in the HVAC industry for a long time, offer variety, and feedback from previous customers. There are many different standards that Modernize takes into account when making their list of contractors, but among the most important are, trust and customer reviews. These can help you determine whether the contractor you are about to hire is the perfect fit for you or not. Modernize verifies each HVAC contractor prior to adding them to its listings so that customers don’t get deceived into paying more, or hiring someone who doesn’t know what they are doing. The form below helps you get started in finding their best-rated HVAC contractors. Ruud has named their units in a complex manner, and the customer support representatives recommend that people use these numbers when looking to claim their warranties. Before we get into the different models and their specifications, we will discuss what each model number signifies and why exactly each unit has been named so. The figure at the end of each unit’s name signifies the unit’s SEER or EER rating, but not directly. For example, the RA13 has a 15.5 SEER, but an EER of 13. Similarly, RA17 has a 17 SEER, and an EER rating of 13. Ruud’s most premium unit is the Ruud UA20. While it is one of the most expensive ones, it is also the most efficient. Conversely, the Ruud RA13 is the least efficient model, yet easiest on the wallet. All of Ruud’s models are Energy Star rated, meaning they are all recommended in terms of efficiency by the government. Below is a table that explains Ruud’s air conditioners in more detail. Being among neither the top HVAC manufacturers nor the lowest, Ruud ACs are ranked average when it comes to their SEER. This hasn’t done the company any favors in terms of popularity or standing out but instead blends it in with the competition. However, Ruud can boast the fact that all its central air conditioners are eligible for a tax rebate, as explained in the tax break section below. SEER or the Seasonal Energy Efficiency Ratio is the ratio between an HVAC unit’s BTUs consumed and the energy consumed; watt/hour, measuring how efficient the unit is. This term is used widely by manufacturers, distributors or consumers alike when dealing with HVAC units, especially air conditioners. As evident from the abbreviation, the S in SEER makes the measure seasonal; only in terms of cooling. Taking into account the heating season as well results in the S being eliminated, thus becoming the Energy Efficiency Ratio, or simply EER. Ruud’s UA20 has an EER rating of 14.5, while Ruud RA13 has a 13 EER. This is exceptional compared to many HVAC units out there, making Ruud a perfect contender for a year-round air conditioner. Surprisingly, there are no complaints regarding the compressors of Ruud air conditioners. This is thanks to the strong protection grills, and weather insulation around the compressor. Purposefully placed, these make its functioning silent, and safeguard the unit’s internal and external parts against debris and insects or small animals. Ruud AC units have two types of compressors fitted into them; single and two-stage. Ruud Air Conditioners’ single stage compressors can cool down the room quickly due to their high running speeds. However, these high speeds also result in an equally high consumption of energy. Premium Ruud AC units consist of two-stage or variable speed compressors, which are more energy efficient. However, a discrepancy found in these compressors is that they tend to operate very slowly when cooling the room. These compressors have the capability of making minute adjustments in their speed as and when they need to, according to the temperature of the room. They keep running, even once the desired temperature has been achieved, thus keeping the temperature constant and saving up on energy. The condenser fans in an air conditioner usually reflect the working of the compressors installed in the unit. Again, customers haven’t complained about Ruud Air Conditioners’ condenser fans malfunctioning. Ruud air conditioners perform exceptionally well during heating seasons because of their compressors’ capability of working as heat pumps. This is perhaps the prime reason why people in colder areas prefer Ruud over any other HVAC unit. While all HVAC units can exert negative pressure on the Freon gas to heat it up, Ruud’s coils perform the function in an excellent manner, when they are heated. Ruud’s coils are better at conducting heat than those of its competition, and can heat the air intake a lot more quickly and efficiently. However, this has been the downfall of Ruud as well. Where Ruud’s coils perform well under the high temperature of the refrigerant, the same cannot be said for low temperatures. When the compressor cools down the refrigerant gas, the coils contract, which cause them to usually end up cracking or breaking, and thus, leaking. Replacement costs can run extremely high at times, depending on the intensity and number of leaks that need to be welded shut. This becomes extremely frustrating for customers, since Ruud air conditioners have a tendency to break down in the middle of summers in hotter climates. Ruud air conditioners clock in at ‘moderate’, in terms of noise performance under normal conditions. The compressors of Ruud AC units are surrounded by insulating materials such as rubber and thermosetting plastics, which reduce the sound produced by the unit’s machinery. However, there are a number of AC units that perform even better in terms of noise. Ruud’s quietest unit is the Ruud RA14**W, which under normal conditions, operates at 52 decibels, and can goas quiet as 40 decibels in optimum conditions! This is relatively moderate compared to other HVAC manufacturers, but extremely loud in front of some, such as Haier. Under normal conditions, Haier’s AC unit can perform at 25 decibels, which is like a loud whisper. Ruud AC units are somewhat moderate in terms of warranty as well. They offer a parts warranty similar to most HVAC manufacturers, i.e., 10 years limited warranty. However, the same cannot be said about the compressor, as it only has a 5-year warranty. This is relatively low, even when compared to the lesser-known HVAC manufacturers. Ruud’s own customer service representatives are known to be respectful, yet not very helpful as they keep referring customers to the installer who installed the unit. People often get frustrated because of this, as installers ask for money even when replacing parts that are under warranty. To avoid this problem, you should consider hiring well-reputed and seasoned contractors that you can trust. You can easily find such contractors at modernize.com. Ruud’s air conditioners are eligible for tax rebates because of the legislation passed in 2018; according to which, all high-efficiency equipment is to be given a certain tax rebate upon purchase. All Ruud’s units with a 16 SEER or above are eligible for the tax rebate, which amounts up to 10% of the cost. When including installation costs, customers can enjoy up to a maximum of $300 on tax returns. Ruud’s UA20, RA17, UA17, RA16, RA14, and RA14**W are all a 16 SEER and above, and therefore eligible for the said tax rebate. As mentioned above, customers tend to avoid Ruud because of the numerous online complaints and its tendency to break down, mid-operation, during summers. 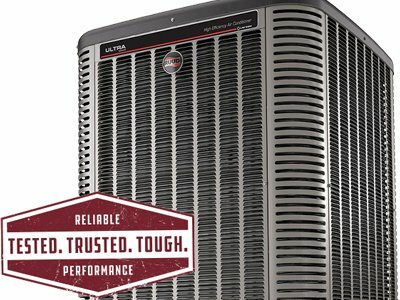 Despite its low initial costs, moderate running costs, and equally average warranties, Ruud users mostly end up paying out of own their pockets for repairs, while contractors usually recommend replacing the unit’s parts (especially the coil) with that of other brands’ (typically American Standard). Ruud and Rheem are both owned by Paloma Industries, and both HVAC manufacturers have an equal focus on efficiency and low costs. Each manufacturer has a number of features it can boast and a number of negative aspects associated with those features as well. Following is a list of pros and cons of Ruud AC units you should consider when looking for an air conditioner. If you are okay with having to replace the evaporator coil (usually costs around $900-$1800), Ruud’s air conditioners are the best fit for any environment, all while being efficient and sleek. Ruud ACs work exceptionally well in winter, when compared to other HVAC units, because of their superior heating capabilities. Ruud offers good customer support, but customers still have to pay for shipping and freight charges. However, most good installers usually recommend their customers not to order another Ruud-based evaporator coil in case of leakage, as it would be prone to breaking down again. Hiring experienced and reliable contractors, that know their way around Ruud air conditioners can be difficult to find, but modernize.com can help you with your search. You can look through their extensive database, and read feedback left by previous customers to make sure you find the contractor that fits your needs best. After all, a good HVAC contractor can help you extend your unit’s life by at least a decade! Simply follow the form below to get started today.